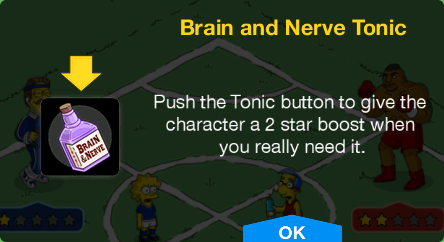 On June 23rd, EA released a new update for The Simspsons Tapped Out. Version 4.15.0 introduced Tap Ball and Soccer Cup 2015. Homer Simpson has introduced a sport so dangerous, so wild, so confusing that it could only exist in the digital sphere. 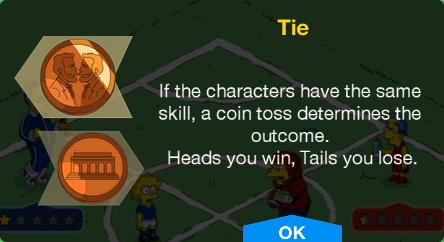 With new buildings, characters, decorations, and quest lines, it’s GAME ON in Springfield! Lisa: Can you believe it, Dad? The World Cup is in full swing! Homer: I know! It’s yachting’s biggest event! Homer: So much drama! Which billionaire will rise to the challenge, and hire the best sailor to drive his catamaran? Homer: I’ll be glued to the TV! Lisa: I’m talking about the Women’s World Cup of soccer! 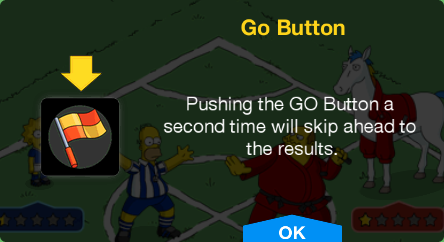 Homer: –kick a ball around until one of them fakes an injury the best and a winner is declared? Lisa: Let’s just watch the game. Homer: Why? Did somebody finally score a soccer goal? Lisa: Almost! …but then no. Homer: Exciting stuff. This sport could really use some cheerleaders and hockey fights. Lisa: Soccer is the single most popular sport in the world! Bigger than motorcycle polo and bear baiting COMBINED. Homer: Which confirms what I’ve always said: the world is an idiot. Homer: It’s time for a new sport! A better sport! Homer: Have you ever longed for a sport that combines the thrill of selecting a team with the fun of waiting for a long time between matches? Homer: Then say hello to Tap Ball! Homer: — and adds the excitement of watching people play second-rate video games! Lisa: That sounds confusing and terrible. Homer: …some chalk to mark the many end zones, a quaffle, Kevlar body armor and a greedy, narcissistic owner to screw it all up! Lisa: The town library is crumbling, and you got a Tap Ball stadium built in no time at all. Homer: It’s easy, when you sell the naming rights. Welcome to Duff Beer Krusty Burger Buzz Cola Costington’s Department Store Kwik-E-Mart Stupid Flanders Park! Homer: Duff gets to be first because they gave us the most money. Homer: People are gonna love it! Lisa: So what are the rules of Tap Ball? Homer: …more than sixty-seven rules. With attached sub-rules, notes, and clarifications. Homer: Rule one: a three-point shot is worth five points. Homer: Rule two: attire is business casual, no underwear. Homer: Rule three: with one minute to go in the eighth quarter, the score is always tied. So it’s more exciting. Homer: Rule four: punching, whether of opponents or teammates, shall be worth two runs. Homer: Rule five: every player must keep both feet on the floor at all times. When running, a hand must also be on the floor. Homer: Rule six: only the player with the ball may cry. Homer: Rule seven: defense loses championships. Lisa: I think I get it. Homer: I’m not done yet! Soccer Lisa: Dad, I have to admit. There’s a puncher’s chance this new sport of yours will catch on. Soccer Lisa: In that case, I’d like its first bona fide star to be a woman. Sign me up. Homer: Great! You’ll play the critical position of center left forward back. Your job is to feed me alley-oops. Soccer Lisa: I thought you were the referee. Homer: I’m both! And that’s how I’ll ensure I’m also the greatest Tap Ball player ever. It’s why Babe Ruth was a baseball umpire. Soccer Lisa: Baseball is the least important thing in the universe to me, but I’m fairly certain that’s not true. Homer: My game, my rules! Homer: I need players for Tap Ball, America’s fastest-growing-sport (as measured by bench-clearing brawls). Homer: Here’s the sign up sheet. See? It’s already got my name, and Flanders. Ned: Well that doesn’t look like my hand writing, but I’m always willing to get physical with my favorite neighbour. Apu: Sports is my only escape from my crushing family life. I’m in! Homer: Amen to that brother! Homer: We officially have enough players to play Tap Ball! Nelson: Hey fatso! Your team needs more jocks like me. I’m going to be a superstar Tap Ball player. Nelson: How many millions of dollars do those jerks make? Homer: Zero! You play for free! 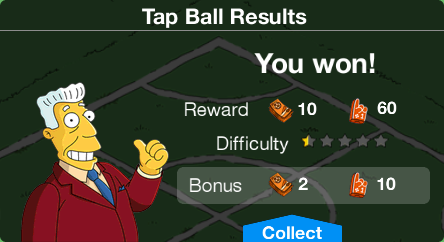 Being part of Professional Tap Ball is its own reward! Homer: After all, this is a sport that’s steeped in tradition, having been founded over three missions ago. Nelson: Wait a second. You got a ton of sponsorship money. Why can’t you use some of that to pay your players? Homer: How about instead of money, I pay you with something much more valuable. Homer: …er, what if, INSTEAD, I pay you in something else? Homer: Something called…uh… “Amateur Bucks!” Redeemable everywhere that accepts pretend money! 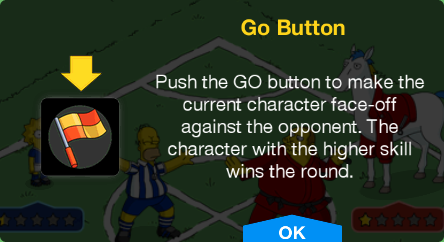 System Message: Football Nelson is now available in the store! Ned: That was fun, but I’m more out of breath than an atheist attempting to disprove God’s existence. Homer: Come on! We can play again! More games mean more money! Soccer Lisa: I’m tired, too. Just give us some time to rest. Homer: You could rest, or you could drink one of our sponsor’s products in front of the camera! 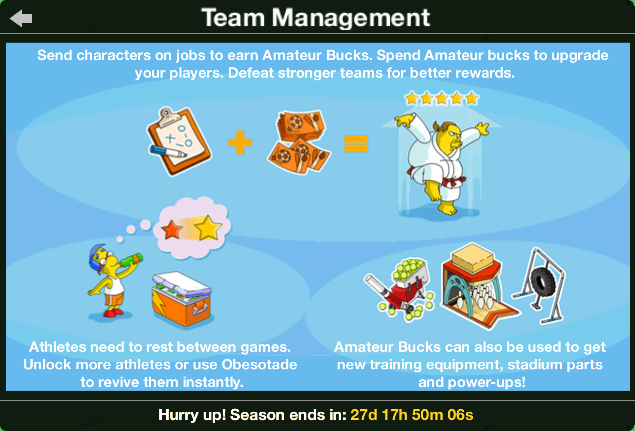 Homer: Put those hard earned Amateur Bucks to use! System Message: Your players need to rest between games. 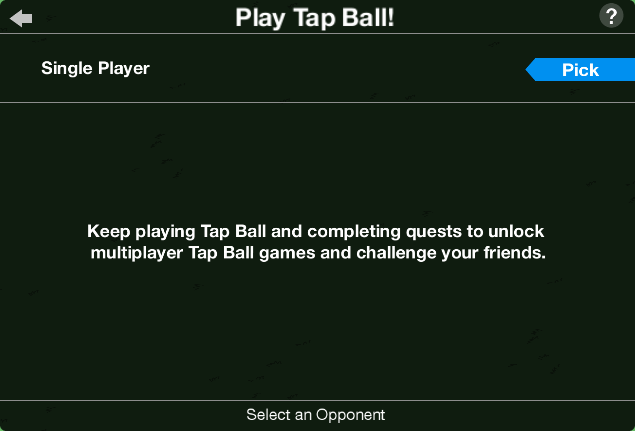 Unlock more Tap Ball players to play games more often. Homer: Attendance at last night’s Tap Ball game was only 6 people. Homer: While that’s superior to most MLB games, it is concerning. Homer: Attention everyone! Tap Ball stadium is open, and everyone can watch for free! 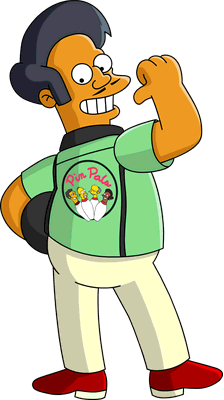 Pin Pal Apu: Free? Mr. Simpson, as one of your sponsors, I do not see how that is a good idea. Homer: Good sir, I assure you it’s all a scam. My motives toward our fans are purely evil. Pin Pal Apu: Phew. So it’s like every other sport. Homer: See Tap Ball is free to try, but then we lure people into buying foam fingers and hats and other useless overpriced stuff that costs real money. Apu: So like every other sport, except that it’s free to try? Homer: No, it’s completely differ– oh hey, you’re right. Man, this freemium model has been around forever. Homer: Great game, everybody! I saw a lot of effort out there. Homer: Except for you, Flanders! You stink. Don’t ask me why. Homer: And your moustache also stinks. It played really lousy today. Ned: Appreciate the constructive criticism, coachareeno! Maybe I can train a little more to get better. System Message: Earn Amateur Bucks through practice jobs and Tap Ball games. 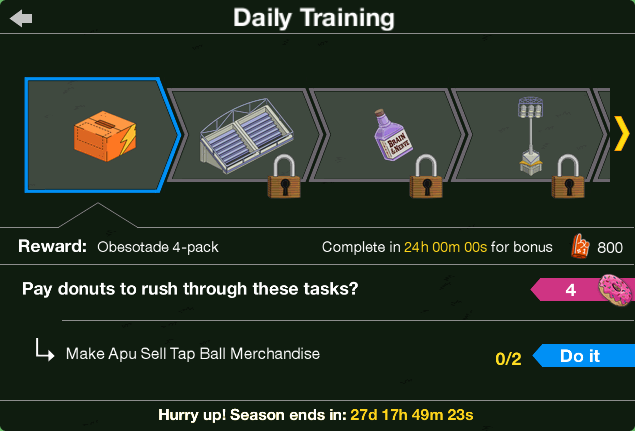 Spend your earnings to upgrade your Tap Ball players. System Message: Upgrading players allows you to face off against stronger opponents for better rewards. Homer: It’s hard being a team owner, manager and athlete at the same time. Homer: How will I find time to improve the stadium, yell at my teammates, drink and nap? Soccer Lisa: Sounds like you need a schedule. You should plan your day, make a time table for yourself and others. Homer: Schedules? Time tables? Numbers? These things shouldn’t exist in sports. 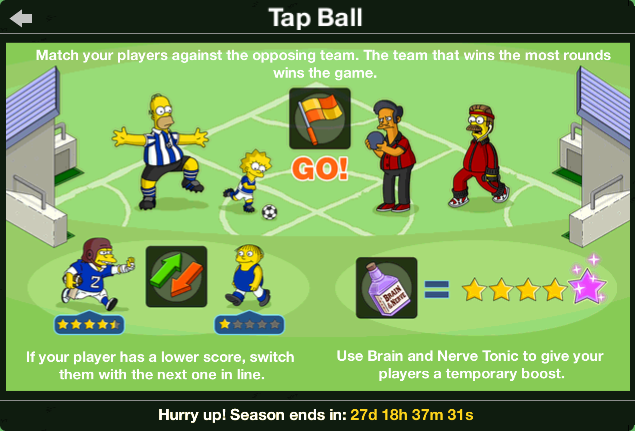 Soccer Lisa: Tap Ball is fun, but how can you start a league with just one town? Homer: We’ll start a rivalry with another Springfield. I still haven’t forgiven those guys for raiding our castles last summer. Soccer Lisa: To be fair, we raided them, too. Homer: Well, to be unfair… let’s get ‘em! Ned: What a fun game, neighboreeno! Even when we lose, it’s a hum-dinger! Homer: You are the LAST person I’d expect to be okay with losing, Flanders! Homer: Your buddy the Lord never lost a fight in his life! That guy peeled himself off the carpet and came back swinging! Homer: He was the ultimate warrior! And I will follow his example!